Holidays are special here at the Quinn House. We have done Christmas, Easter, and even 'back to school' for the less fortunate children for many years and plan to continue. Each year Quinn House assembles and distributes approximately 500 Thanksgiving, and Christmas Baskets to needy families in the community. The baskets consist of a turkey, a chicken, or a ham, as well as all the other items that make up a traditional Holiday meal complete with pies, cakes, and all the trimmings we make certain these baskets are missing nothing. We also cook, and serve a traditional meal at our house on 555 Hurricane Shoals Rd NW. for our residents, their families, and our staff. Santa came to their house this year! Christmas is extra special here for two reasons -- the children and our senior citizens. We try to make sure that all of them who would not have Christmas are able to celebrate like the rest of us. This is an important part of what we do and where we really need help from the community. You will be truly blessed if you are involved with this project. 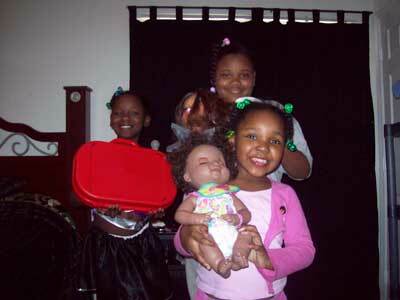 We start accepting sponsors in the beginning of September for the children and seniors. 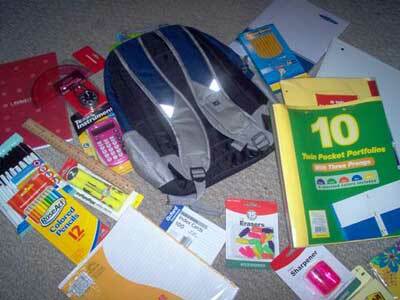 School supplies for Gwinnett County Kids. Please contact our office and see how you, your church, civic group, or company can partner with us in these wonderful outreaches in our community. please call our office at: (770) 962-0470.